These shows are always fun and this was the best one yet. I was able to make some nice purchases. The book was $1 and in very nice condition. 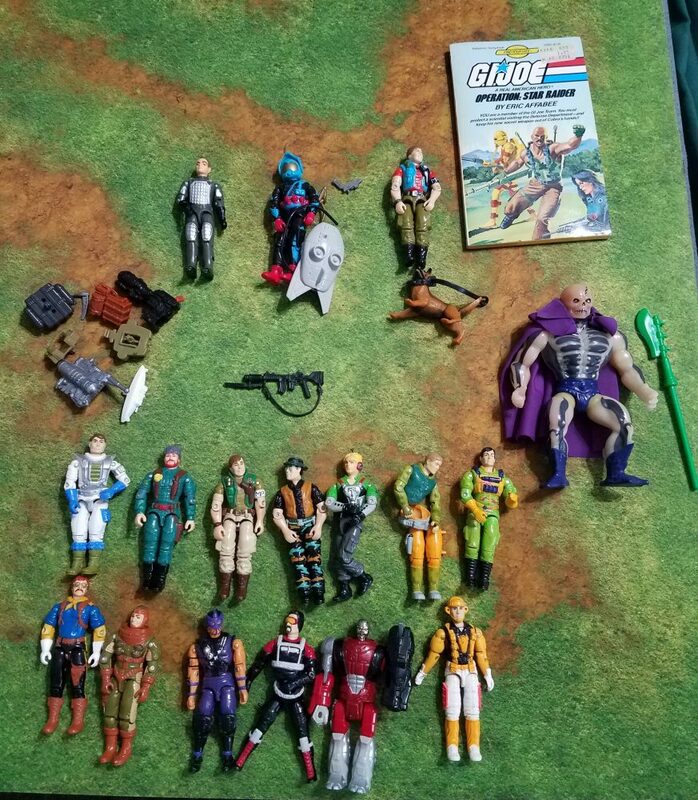 The Joes at the bottom I picked up for less than $1 each. I also scored the Night Force Spearhead riffle in the lot of weapons. Law and order , TARGAT complete, and the silver Grand Slam from a dealer for $45!! The silver is in good shape on the GS and the TARGAT is nice a clean. Not pictures I picked up about 30 pounds of Legos in a giant storage bin. It was a good deal and I got them for the kids to play with. I am not a He-Man collector but could not pass up on the opportunity to buy the Scare Glow. The seller let is go for $170. At this time the Ebay prices are all over the place, but most of the complete ones sold for $250 or more. If you ask me what my collecting plan is for He-Man I would say I dont have a plan to collect the line. But if I did I would start withe the Series 1 figures like He-Man, Skeletor, and Battlecat. I Also like king Randor. I have had a chance to attend a few of the Gulf Coast Shows, and I cannot say enough about how fun they are. I always find good deals and the sellers are always friendly.